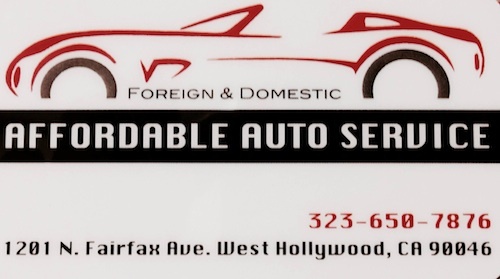 Affordable Auto Service specializing in Foreign and Domestic cars. If your shopping around for best rates, Affordable Auto Service will be able to match competitor prices. Our expertise and resources can save you money in a whole new way. Able to beat competitor prices up to 20%. 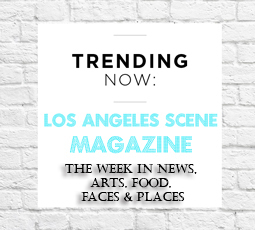 Conveniently located on Fairfax and Santa Monica Blvd. Not to far from Hollywood blvd. Located conveniently across from Wholefoods Market. We understand it’s your money and your time and we want you to make the right decision in choosing your mechanic. We will do everything in our power to keep your car working smoothly, advise you on proper methods, and empower you to maintain your car and save you money. Come in for a quick oil change or anything car related. 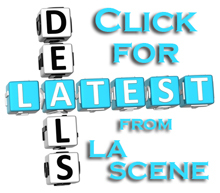 West Hollywood Affordable Auto Service Specializes in auto repair, breaks, oil change, auto service, transmission, over hauled engine, light bulb (light assembly). 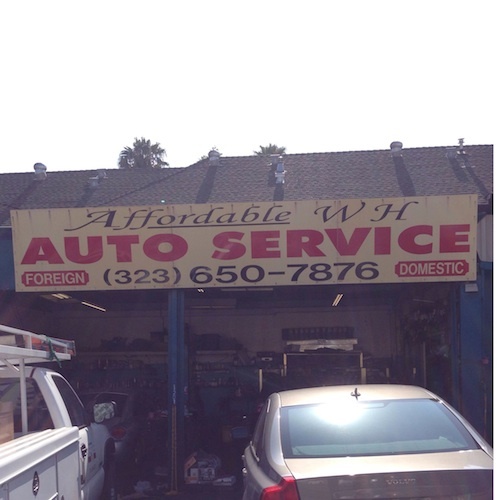 West Hollywood Auto Repair 90046 mechanic providing exceptional customer service. Offering loyalty programs. Many years of professional experience. Come in for a free consultation. Able to match prices. Will beat matched prices up to 20%. Fixing cars and providing exceptional services. Save Money Today! Auto Shop located in West Hollywood.